Starting Sunday at midnight, you can submit entries for Your Best Scallops and Your Best Recipe for Spring Peas. I respectfully disagree. There is only one spot I've found in Chinatown where I will buy any fish at all. And Chinatown is not convenient to me for shopping. In fact the great majority of scallops sold on the West Coast are coming in frozen from Japan or China. If you are on the East Coast you have a greater likelihood of finding fresh scallops from the northeast and from Canada. Whole Foods out west was selling fresh scallops yesterday but at least at one location they couldn't tell me where they are getting them from. I'll try another one today. 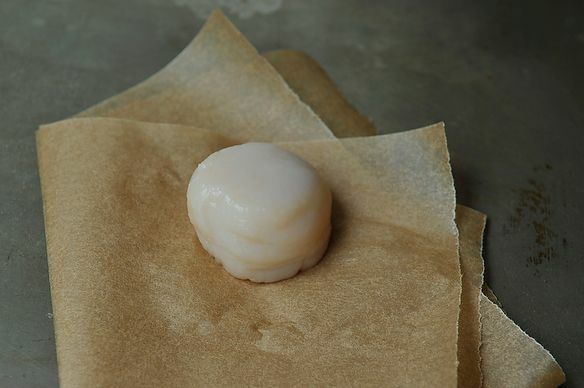 Seafood Watch does consider scallops from Asia a sustainable form of aquaculture. And as long as it doesn't involve dredging, wild caught are fine too. I love scallops! However...to buy the best scallops, that is, dayboat scallops that have not been deep frozen or treated with a chemical to preserve liquid they are soooo expensive. At my local market which sells fantastic meat and seafood (Sunshine Market in St Helena) the dayboat scallops were a little over $25.00 a pound! My husband loves my preparation so it's worth it! Wow, that's high! The fisherman at the Union Square Greenmarket in Manhattan sells his fresh scallops for $16 - 18 depending, and Whole Foods is usually $18. I agree they're worth it, but they've become more "special occasion" eating at those prices. The market had three kinds of scallops...bay scallops which are the tiny ones, previously frozen Eastern scallops which had that previously frozen look about them (NOT appetizing looking) and the fresh ones which were beautiful! They looked good enough to eat raw...very tender to hold, nice smell and in fact they cooked up beautifully. They did not release water when put to the heat and they seared golden even without a dusting of flour. They were "wild caught" Sign said from Mexico? For non-seasonal seafood and produce for the West Coast, Mexico is ALWAYS a possibility and not necessarily off putting. I do try to go locavore, but given that our challenge this week is the scallop, well we'll look for the best we can find. Hi Norma823! You'll submit the recipes to separate contests (http://www.food52.com/contests/138_your_best_scallops and http://www.food52.com/contests/139_your_best_recipes_for_spring_peas) so you'll probably want to have a recipe for each category that really highlights that ingredient. That said, there's nothing preventing your scallop dish from having peas in it, or vice versa. Perfect. 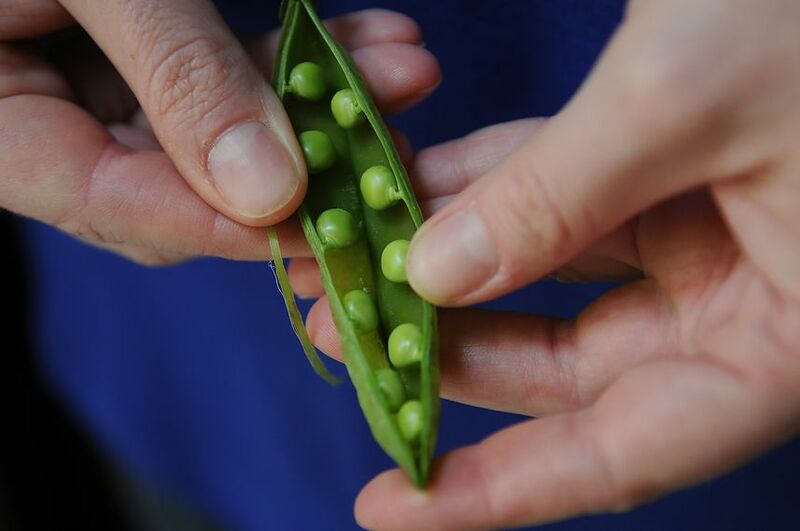 I've been craving spring green peas and went to the farmer's market first thing Saturday morning. Score. Made risotto Saturday night and again tonight. Yum. Just to give a perspective, the spring peas are "over" in southern CA. I am hanging on for dear life re local strawberries, peaked this week perhaps. Let's all take a deep breath...This is fun, remember? Spring green peas - impossible to get here in the midwest. Only the restaurants get them. The ordinary folks are stuck with frozen...bummer! We find that there are some great organic frozen varieties. We're totally open to recipes that use those as an alternative. I guess it's time to bring on the coquilles st.jaques from whatever century that came from. We have other criminal ideas, although the coquilles is not a bad one. You just need to go to Cost Plus to buy the scallop shells. Pierino expects to be taking a different path with this tender horse flesh of the ocean. But you never know....Something scary and bad for you. We are still waiting for the abalone battle. In all seriousness (something for which Pierino is not famous for), abalone is now being farmed up in Cayucos, CA. Seafood Watch has deemed it to be one of the best, sustainable forms of aquaculture. It's expensive, as in $75 per pound plus shipping but it is a remarkable come back. If you haven't tasted abalone before it might remind you of scallops. Yum on peas and scallops! Thank you for another veggie and a seafood to boot ... can't wait to see what everyone cooks! Can these be any kind of peas? Or are we limited to the spring green peas? We were thinking spring green peas.